Hi Friends! Today I'm popping in super quickly with a Two Takes post! 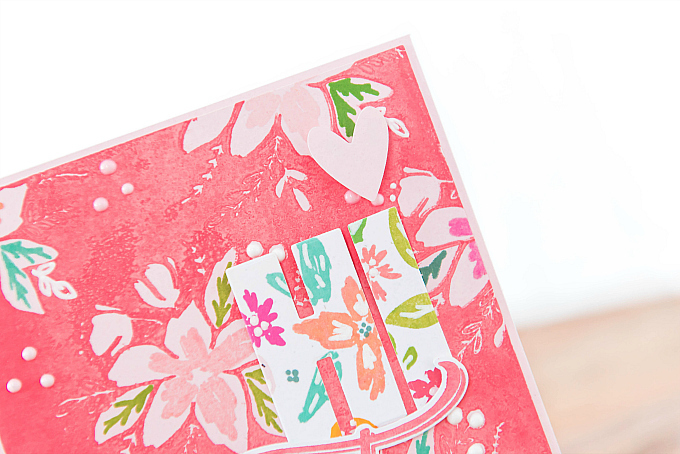 I wanted to share this colorful and *super* bold card with you, and show two different ways to make this design work - a more complex style, as you see in this first version, and a more subtle style - see below. 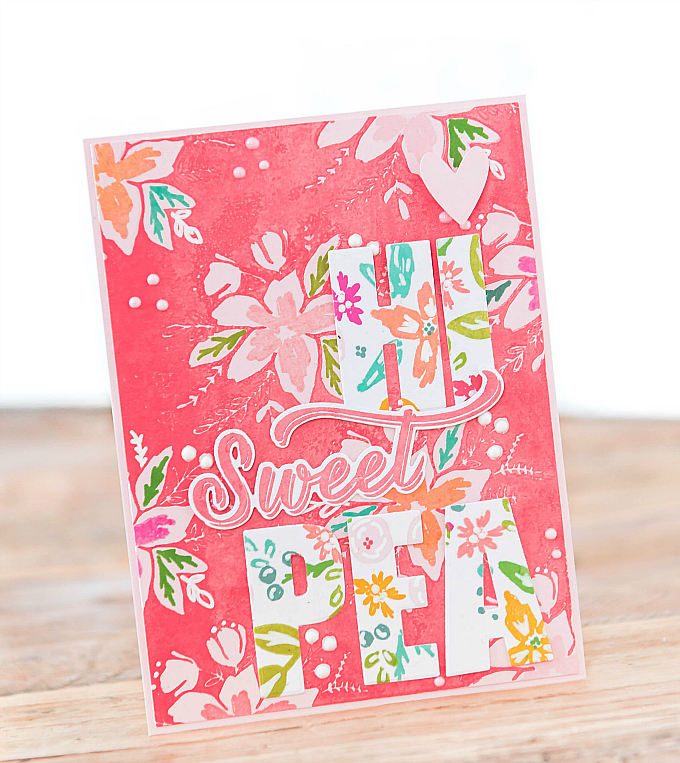 After stamping the background, I used a combination of inks to stamp the floral fill-ins. I used the awesome guide on their website to help me figure out just where all the bits go. 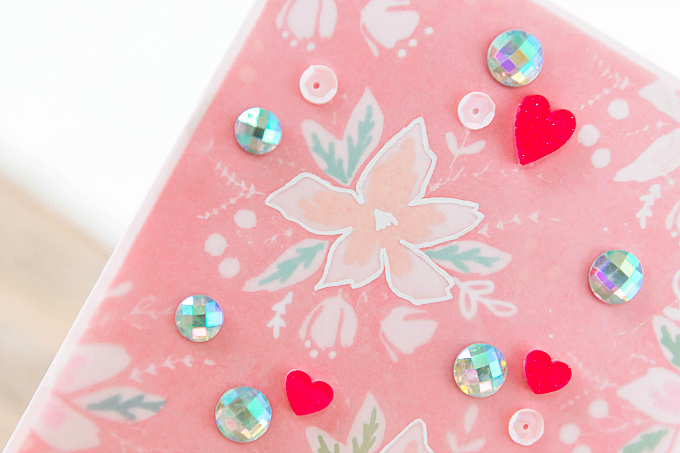 After doing that, I stamped a whole heap of florals on a piece of white cardstock, and then used my lovely Altenew Caps Bold Alpha dies to cut out some letters. I also added some white detailing using the Signo pen. 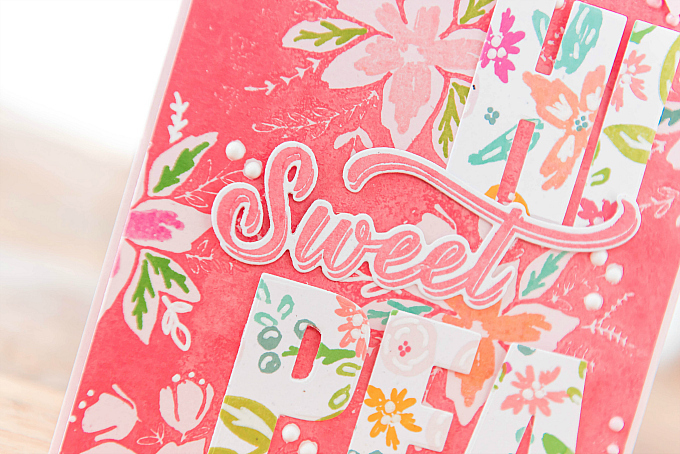 I added a Papertrey Ink 'sweet' die-cut, stamped and cut using the Sweet Holiday Wishes stamp and die set. And here is a pared down version, that I think I might like even more! 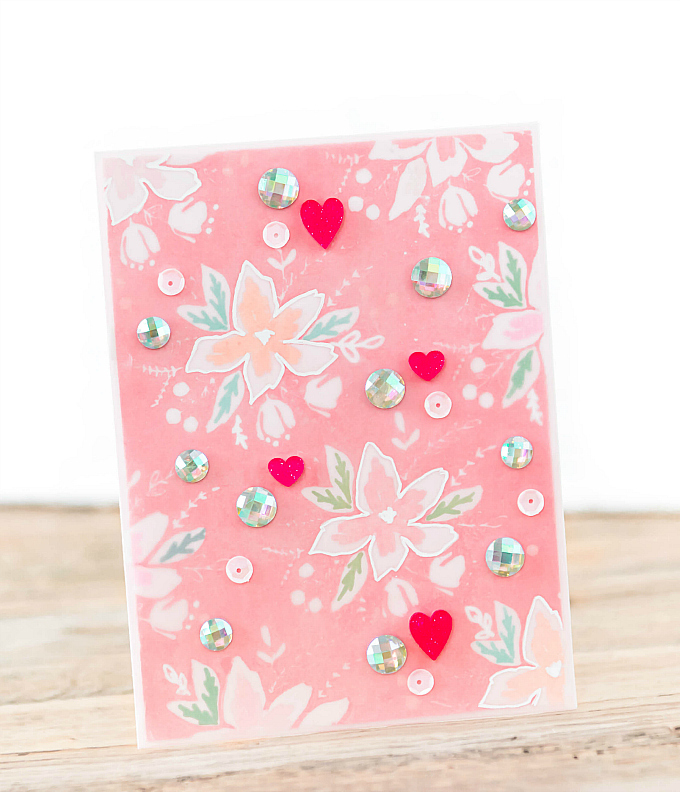 I followed all the same steps, but instead of adding all the colorful fonts, I used a vellum overlay, and adorned the card with rhinestones, sparkly epoxy hearts, sequins, and some white pen outlines. Pared down or elaborate? Which do you prefer? Share your two-take designs over on Instagram with us! 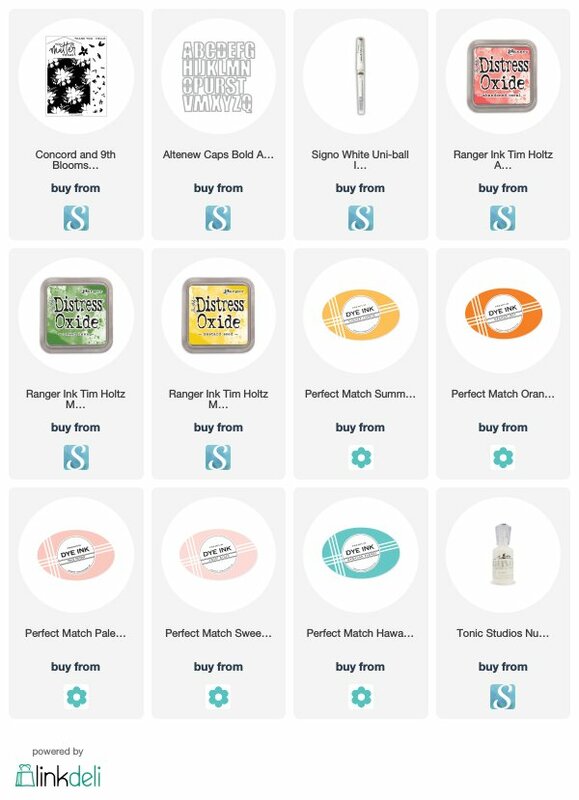 Well, you had me with Sweet Pea! These are darling cards Ivana. 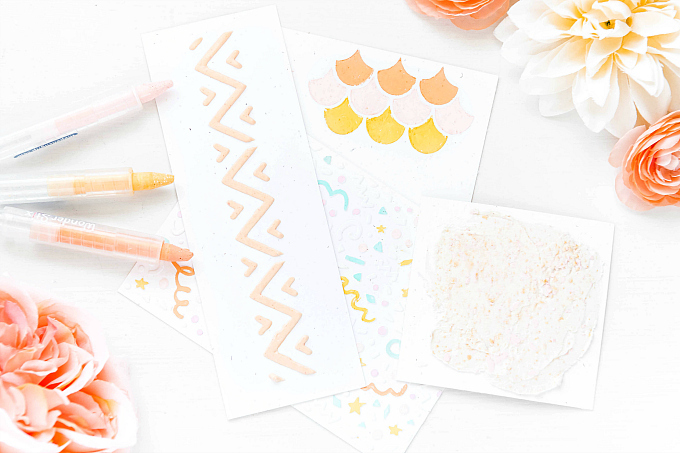 The colors make me think of spring and warmer days! This is amazing!! 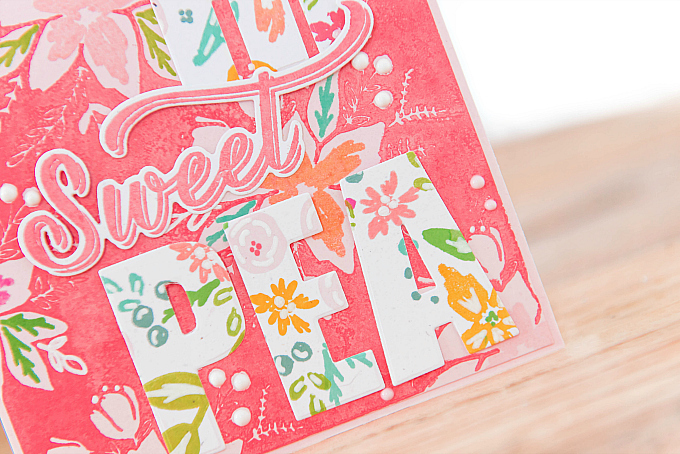 I LOVE the bright colors you chose and the fun stamping on the letters. LOVELY design! They're both beautiful, Ivana! Gotta say, though, the second one really pulls me in!